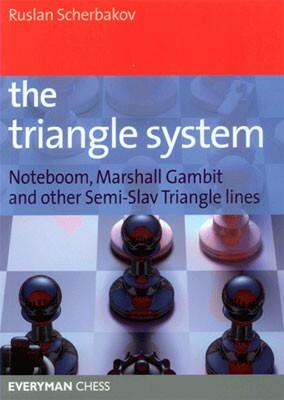 Produktinformationen "Scherbakov, The triangle system"
Grandmaster Ruslan Scherbakov presents an opening system for Black based on the Semi-Slav Triangle, an ambitious way to fight the ever-popular Queen's Gambit. Black s weapons include the Noteboom Variation a dynamic counterattack which takes White out of his comfort zone and offers Black the chance to dictate the game from the outset. Scherbakov also examines options for Black against the aggressive Semi-Slav Marshall Gambit, as well as White's quieter tries such as the Exchange Variation, various defences of the c4-pawn and the Catalan approach. Scherbakov has over 20 years of experience in studying and playing these opening variations, which have been tried and tested successfully at grandmaster level and are specially designed for players who want to challenge White in the opening. 17) 8 Be2 Na6 9 Ba5! Weiterführende Links zu "Scherbakov, The triangle system"
Kundenbewertungen für "Scherbakov, The triangle system"